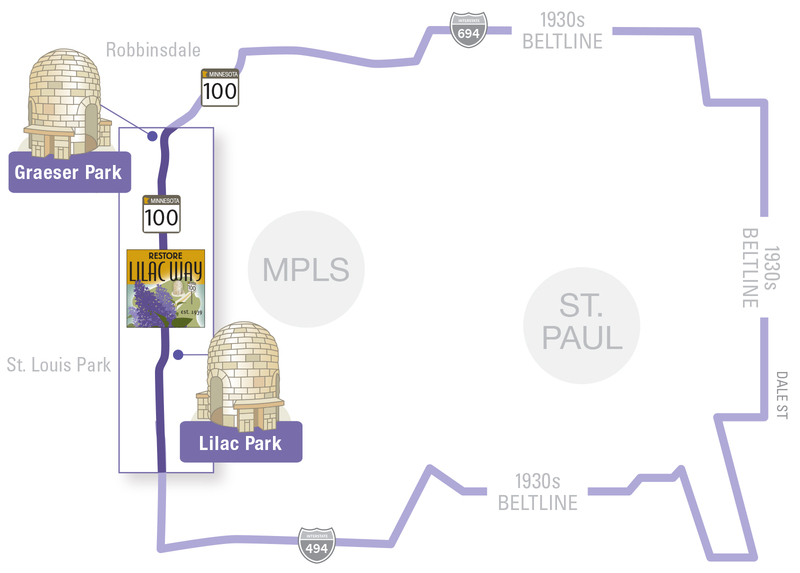 Lilac Way was an historical section of Highway 100 in Minneapolis. 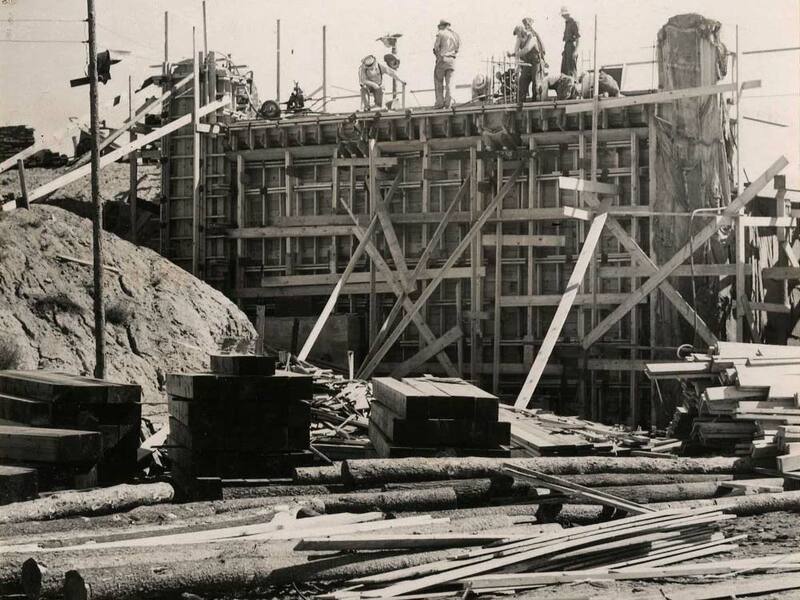 Only 12.5 miles long, it was built in 1934-41 as one of FDR’s Works Project Administration (WPA) projects during the Great Depression. 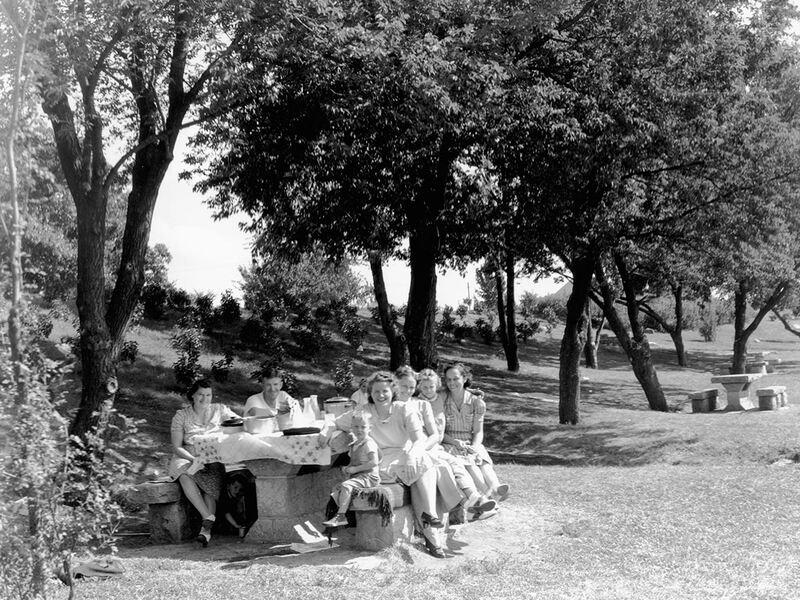 It had seven roadside parks with ‘beehive’ fireplaces, stone picnic tables and rustic landscaping. Today, only two parks remain—Lilac Park has been restored, but Robbinsdale’s Graeser Park needs to be saved. Rock Island (aka Monkey Island) in St. Louis Park also needs to be saved. The MN Department of Highways built a 66-mile ‘Belt Line’ loop around the Twin Cities, completed in 1950. It played a key role in the post-World War II economic development and growth pattern of the Twin Cities. Lilac Way was the ‘Showcase’ section of the Belt Line. This 12.5 mile stretch of Highway 100 was lined with thousands of lilac bushes and seven roadside parks. It’s just 12.5 miles of Highway 100 between Highway 52 (now 81) in Robbinsdale, and Highway 5 (78th Street) in Edina. 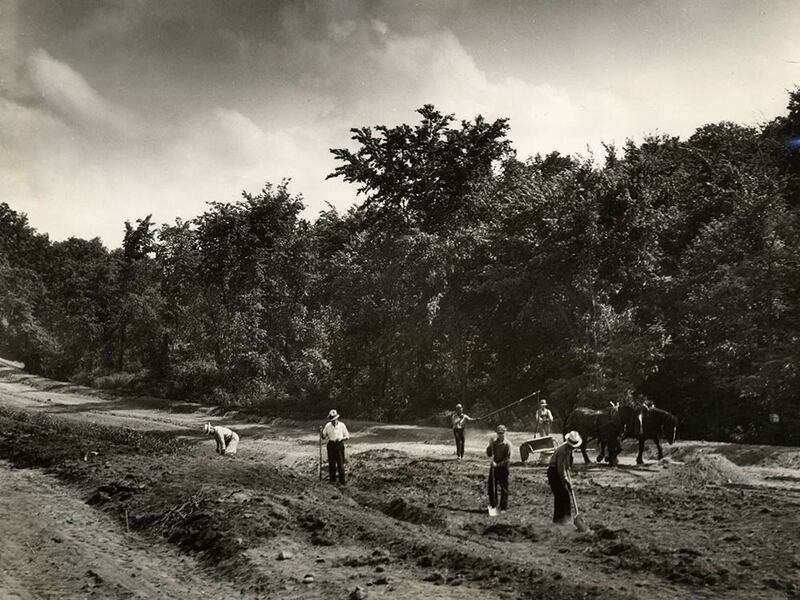 Parts of the Belt Line were later developed into 494/694.